Clocking into work is almost as common as having a water cooler in the office. The old-fashioned way is to take a physical card, sticking it into a hole puncher, and then putting it in the correct slot after that. Clocking out works the same way. Other companies require you to clock into an online program or server that collects that information and then collates that information when it is time for accounting to figure out payroll. But employers and companies have stumbled upon another way to keep track of when employees are clocking into and out of work. Instead of typing into a computer or punching holes into a piece of paper, companies can use biometric time clocks. 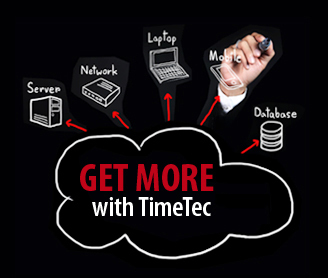 Biometric time clocks streamline the employee attendance procedure which will save a company a lot of money over time. Also, since there is only one qualified fingerprint per person there is no way for people to game the system and abuse arriving to work late. The built-in software of the time clock records what time each employ enters and leaves so there is no way to misuse privileges. These new time clocks are the wave of the future and will do a lot to help the company save and make money. Three years ago when we had a company trip to Shanghai and Hangzhou, one of our programs was to visit a tea farm at the West Lake Xi Hu, Hangzhou. That place is famous with its unfermented Longjing green tea and after a short teatime session, most of us bought home some tealeaves. My friend in Beijing who knew our tea farm tour told me after sometimes that the tealeaves we bought must be brought over from anywhere BUT the West Lake. He explained to me that the good grade Xihu tealeaves are quite in demand and available in short supply in the country. They are normally pre-booked before harvest and regular group tourists like us who are not tea hobbyists, wouldn’t be served with the original Xihu tea. If his statement was true, it means that we were cheated right under our noses. 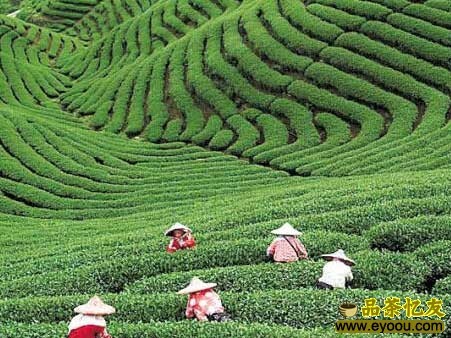 Isn’t it bizarre to see the tea farm before your eyes, but later being served tealeaves planted from somewhere else? Could this really happen? But when this happened in China, I couldn’t be certain. And I was shocked again after reading a headline on an IT magazine of China last month. The investigative report divulged a set of unspoken rules being played and resulted in the cultural collapse in TaoBao, the largest local B2C and C2C e-commerce portal being operated in China. 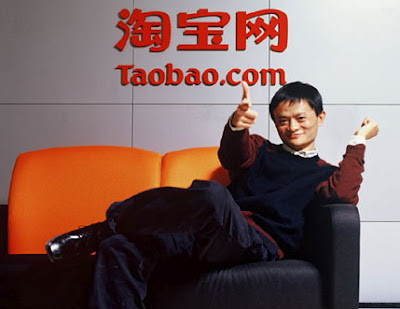 Founded in 2003, TaoBao is owned by a conglomerate Alibaba Group, which based its headquarters in Hangzhou, China, and also the owner of a very successful B2B portal alibaba.com. After they ousted its rival eBay in China, TaoBao e-marketplace grew so big that any e-merchants who want to sell goods online in China have to deal with them and pay substantial fees accordingly. However, online tenancy is just the beginning. To prosper further, e-merchants have to gain certain privileges and that is where TaoBao managers come in to assist you, unofficially. You would be “assisted” by the managers to jump queue when you participating in online promotion activities, and/or to make your merchandise more “noticeable” compared to other products and the list goes on. Or for a naïve new e-merchant, you may receive a call from a stranger who tells you that your products have just been blasted with 10 bad reviews from different “customers”, and he could help you to remove the reviews with a price, specifically, USD50 per review. And for all the ten reviews, he will try to get you a quantity discount. He may further offer you to sign the credit promotion package and guarantee a Diamond for your company goodwill level by posting enough of positive reviews. The best of all strategies was, TaoBao manager would recommend you to sign up for an agent dedicated to you; a person who has an immense experience dealing with TaoBao, and he would be in charge for all your online matters. He will be charging a fee monthly and the best way is to cut some of your profits from TaoBao. To prosper even more, you may consider offering some stakes or partnership in your company to TaoBao managers (of course, they will use proxy to hold the shares). The unspoken rules are becoming an open secret. No matter how drastic the actions taken by Alibaba boss, Mr. Jack Ma, to fire the top and middle executives from time to time, the sleazy activities continued. TaoBao’s problem was not exceptional, because corruption always involves two willing parties. If fraud is a norm, the entire society has to be blamed. The Biweekly concludes, TaoBao is entrapped in such a quagmire, and predict if the corruptive culture persists, it will backfire one day; but if Taobao does clean up the mess, it will jeopardize its current business. 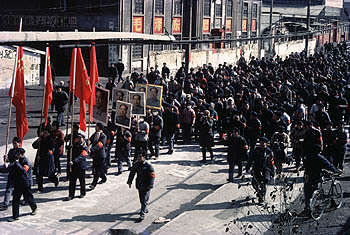 In fact, if we study modern history of China, we would know that the decade-long Cultural Revolution from 1966 through 1976 has vastly destroyed good values of the nation. To restore the missing values in human nature, experts estimate, it takes generations. The idea is quite absurd to the outside world. When Yahoo! new CEO Scott Thompson had to step down after a resume discrepancy scandal, we saw how the Chairman of Alibaba Group, Mr. Jack Ma still standing strong even when he span off and swallowed up the company’s payment business AliPay without the knowledge of any key shareholders, including Yahoo! Inc. With this, we have no more doubt as to why TaoBao suffered a cultural collapse. And for a country or a corporate that has no Cultural Revolution to blame, we have to bear in mind, a fish rots from the head down. Every business has assets, information, technologies and so on that have to be protected from competitors and thieves that want to make some money off of the sale of confidential information. Your company is going to want to layer security features like security cameras, encrypted computers, and locked doors on top of one another to deter and even prevent any theft or attempt at corporate espionage. The bad thing about typical doors that use a bolt and key is that that key is a very weak link in the chain of security. As is the locking mechanism itself. The key can be lost and found by parties who would use it to unlawfully enter a building and steal what is inside. That key can also be copied by someone with bad intentions on their mind. But if you were to replace that old door's key and locking mechanism with a fingerprint door lock, you can effectively remove those two weaknesses. Fingerprint door locks rely on a person's fingerprints to unlock. Fingerprints are unique to each person and cannot be duplicated. Also, fingerprints cannot be lost so you do not have to worry about someone picking it up off the side of the road. When you think about the advantages of using a fingerprint lock to keep things secure, it makes sense to switch over. Does it look like your employee attendance system needs an upgrading? Get to work on changing your employee clock in software and hardware. 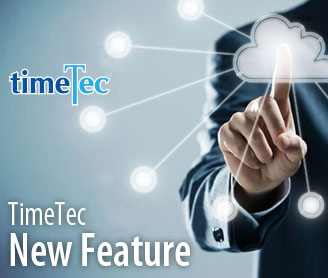 The latest employee attendance software can accurately capture the clocking in and clocking out of each of your employees which makes for a more efficient and accurate payroll system. This is especially true if you combine this new software with new fingerprint clock in hardware. With a new fingerprinting system in place, there will be no mistaking who is clocking in and out and at what times. You can also remove the shady practice of employees punching in for their friends and/or coworkers who are late. There is absolutely no way to cheat a system that uses fingerprinting for identification. You cannot copy a fingerprint so a person would have to be at their job and on time to actually clock in. For employers, this removes the very tedious task of trying to collate so many of those outdated punch cards. 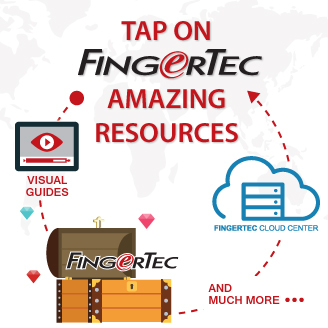 There is no need for guessing or interpreting data; a captured fingerprint has to match up point for point for anyone to have access to a facility. With this in mind, it is kind of hard to argue against using fingerprinting to clock in your employees. 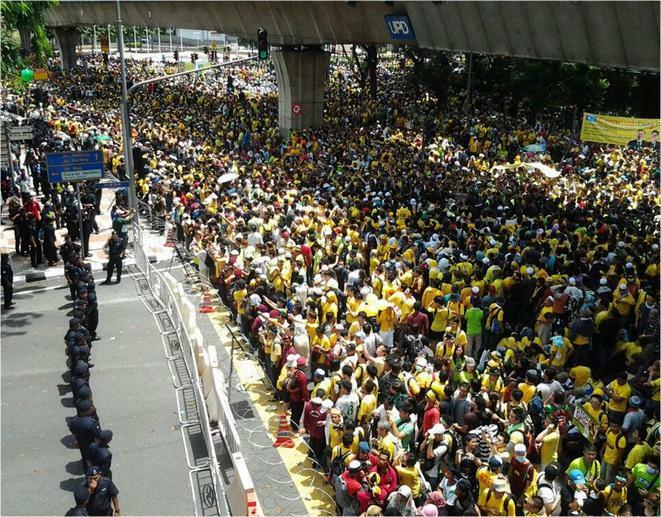 On 28th April 2012, in my country, Malaysia, two hundred thousand people staged a peaceful street rally to call for a clean General Election. This was the third, and the largest so far since 2007. Predictably, it ended up with police forces beating and roughing up civilians in broad daylight when chaos erupted. 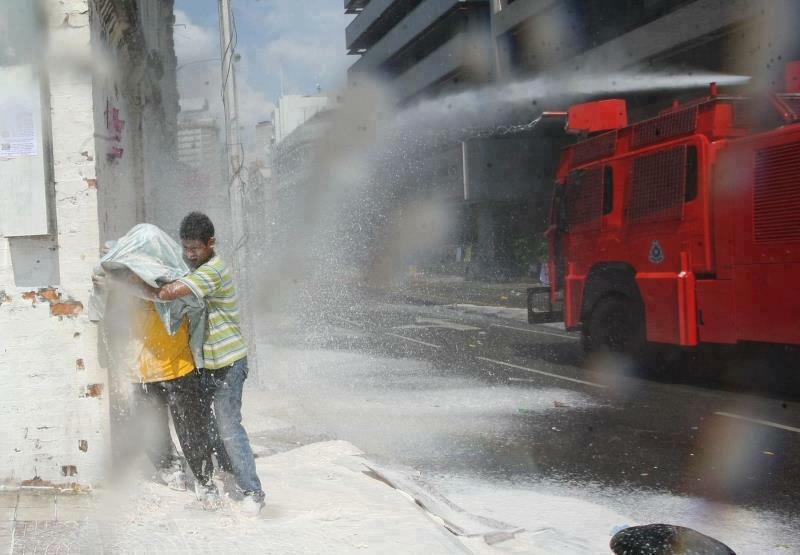 On the following day, the mainstream media, mainly the major newspapers and the government-controlled TV stations, officially shared the same storyline accusing some protesters for removing the barricade the authority used to fence off the Independence Square, which had provoked the police to fire water cannons, shoot tear gas towards the mass and use excessive force on civilians. The news, supported by some photos and video footages showed some protestors pushed through the barricade, threw stones at the police squad, and even overturned and vandalized a police car. Naturally, this was just one side of the story. The Internet media, which is more liberal, had a totally different storyline. They voiced out that the police should be targeting the provocateurs rather than at the mass majority. The Internet media also produced some evidence to prove that those provocateurs were undercover cops planted by the government to rationalize their planned-attack. The published photos and video footages showed how police had brutally beaten innocent people, and one video clip in particular showed a speeding police car rammed into a crowd, and the bystanders helping to lift and flip the car to rescue a trapped victim underneath. The Government could claim its triumph over the mass rally by saying that they had “successfully” clamped down the protest, and spread their version of the story. But their “victory” could be followed by the loss of more support in the coming election. A lot of people especially strong governments and mighty corporations had underestimated the power of the social media in the digital world. 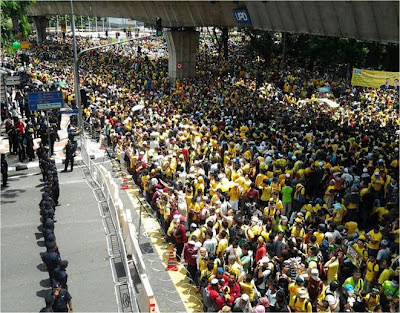 For example, this peace rally in Malaysia, when two hundred thousand pairs of eyes, two hundred thousand built-in cameras in their cell phones, started telling their tales, sharing their photos and videos that was candidly captured from different angles in real-time; their beloved family would listen, their friends and relatives would listen, and the stories later would turn viral through social networking media, the whole country would listen, and eventually, the world would listen too. Those fragmented and unorganized stories, proliferate in debris on Facebook and Twitter, at last would form a larger discourse, and eventually would right the distorted truth. This is where the Internet is taking the news industry back to the conversational culture of the era before mass media. 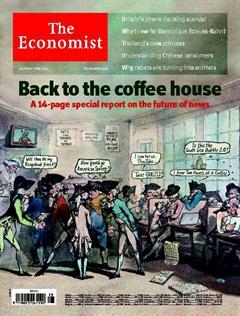 I quoted this statement from a topic, “Back to the coffee house” in the 7th July, 2011 issue of The Economist. Nowadays, the accessibility of Internet allows readers to challenge the media elites, and the technology firms including Google, Facebook and Twitter, have become important conduit of personal news. The web has allowed new providers of news, from individual bloggers to personal publishers, and renewed the approaches to journalism with wider scope in lightning speed. The news agenda is no longer controlled by a few press barons and state outlets. For big corporations, of course they still can spend big bucks to advertise false information, or to censor some bad publicity, but it is only limited to the mainstream media; the Internet social media would immediately put their accountability to test. The Internet has abolished the unnecessary hierarchical communications; the autocracy voice from the top down has a reversal change here. In social news environment, customers or public are not the receiving ends. They are participants. When governments or corporations can’t convert themselves to become good listeners, at least, they have to equalize the communications. No matter how an organization actively participates in new social media era, the coffee house kinds of gossip culture is back, so changing of mindset is pivotal for organization to really gain in promoting their products, their services or even their brands by and large. When I say fingerprint door locks are "clutch" I mean they are a very important point of security for many businesses. This is especially true with businesses who own proprietary products, prototypes, and confidential information. A grand majority of people only have experience with a regular old door that is both locked and unlocked using a regular old metal key. So what is so bad about that? These keys can be lost. If you are "lucky" they are simply lost forever, nowhere to be found. But if you are not lucky, some unscrupulous individual might have already picked it up and will try to see what it unlocks. With time and desperation enough they will eventually succeed. But replace that old-fashioned door and lock with a fingerprint door lock and you will not have that problem. The key to such a door is attached to you at all times so you run no risk of simply losing it. And unlike keys, fingerprints cannot be duplicated. You have so much security and control over who has access to that entrance that you will soon realize that having a regular door that uses a key is all but useless. It is also less reliable.